The Nordic Museum in Seattle, Washington was housed in a building constructed in 1907 as a public elementary school. 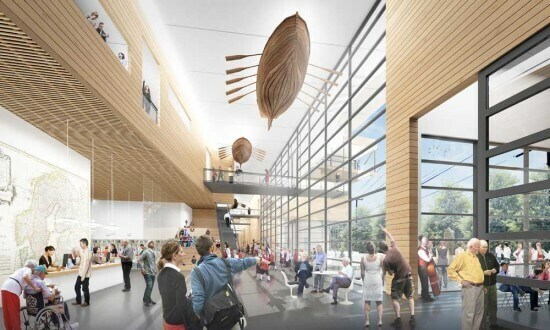 Museum leaders had long recognized the need for a new purpose-built facility that would allow the organization to realize its potential as a modern museum and thriving community center. This new facility will not only enhance the Museum's programmatic offerings, but will ensure its future. A Nordic inspired café was an important part of the strategic plan. The location of the Museum allows for both Museum patrons and outside guests to take advantage of this future retail operation. In addition to the café, the Museum was interested in building a rental program for their new event spaces. JGL provided an assessment which helped inform Museum leadership of the potential earned income that could be realized by maximizing both the café and event rental programs. In addition to developing financial projections and potential operating models, JGL also canvased the Seattle catering and restaurant markets to cultivate a list of potential food service operators. Following the assessment phase of the process, JGL managed an RFP process which ultimately led to the Nordic Museum selecting City Catering to be their exclusive food service operator. The Museum is set to open in May of 2018. Check it out if you are in Seattle!